Lead generation can be used for business to business or business to consumer, and is most commonly used among telemarketing companies. This method of lead generation involves speaking to customers over the phone and generating interest in a product or service. The details of the customer can then be sold to a client as a lead; they then have the responsibility to convert this initial interest into a sale. It is an effective, yet time consuming way of increasing sales for a business. There are many industries in which lead generation can be used as an effective way of seeking new customers, one of the most popular in the UK is for the financial service. Within the financial service, mortgages, insurance, loans and debt management are among the most common. The home improvements sector, cosmetic surgery, education and expert training are also other industries that use lead generation to generate customers. The reason that lead generation is popular among these industries is because they are all ‘considered purchases’. The customer will want to gather information, quotes and opinions from a variety of professionals within the industry to ensure they are receiving the best quality and service possible. They are also products and services that the customer may not have realised that they needed before speaking to a lead generation agent. The client that you are generating leads on behalf of will state how many they require; it’s crucial that you are able to provide leads within the time scale and to make sure that they meet the high standard expected. If the leads fall below this standard they will be of no use to the company, and they will be unlikely to use you again to generate leads for them. This stresses why it is important to ensure that every lead your company generates is if the highest standard before passing it on to the customer. Often lead generation companies will use a quality control system to guarantee that every lead has the potential to be converted into a sale. In order to provide your clients with high quality, ‘sales ready’ leads it is important that your data is up to date. 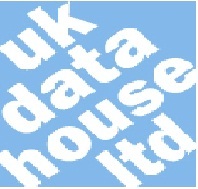 UK Datahouse can provide you with business to business or business to consumer data lists that have been cleaned and screened to ensure they are up to date, formatted correctly and not made up of wrong numbers. You can also target you data to guarantee that you’re calling the right people, at the right time.